For the uninitiated sitemaps are a visual or textually organized model of a website’s content allowing a human user or an automated website crawler to more efficiently navigate through a website to find information. Sitemaps are a type of interactive table of contents, in which each listed item links directly to its counterpart sections within a website. Without a sitemap, it is nearly impossible for a user or crawler to fully explore a complex website simply by random navigation especially if that site is not built to be navigationally intuitive for the user or is full of technical errors that would cause a website crawler to fail in identifying each page within a website. Effective use of Sitemaps and good SEO go hand in hand. Any effective SEO strategy will first start with fully mapping a website’s entire URL structure in order to understand the scope of the site content and to identify any and all areas of improvement from a search optimization standpoint. One of the most effective ways to do this is by using a Sitemap Generator or SEO website crawler tool to create a sitemap for you. Sitemap generator tools provide human users valuable insight into the structure of a website but also and arguably more importantly can also assist in generating the necessary XML files used by web crawlers to identify each page of a website for crawling and indexing. By generating a sitemap and placing a properly formatted XML file on your webserver, you enable various Search Engine crawlers (like Google) to quickly identify what pages are present, which may have recently changed, and which pages need re-crawled and updated in Googles index. This will assist a crawler in visiting your site appropriately in order to maintain an updated catalog of your website content for users to search. While some developers argue that the term site index more appropriately describes a sitemap as being more of a relay page function, most web visitors generally associate both as one and the same. A site index is often used to mean an A-Z index providing alphabetically organized results for particular content, while a sitemap provides a general visual top-down view of the overall site contents organized using some manner of classification system. There are really only two widely used versions of a sitemap. An XML Sitemap is a structured format file that users typically do not see, but is critical to a website structure as it tells the search engine about the pages in a site, their relative importance to each other, and how often they are updated. XML is a type of document structure and encoding standard used, among many other things, as the standard file format that can be properly interpreted by web crawlers in order to find and parse sitemap data. 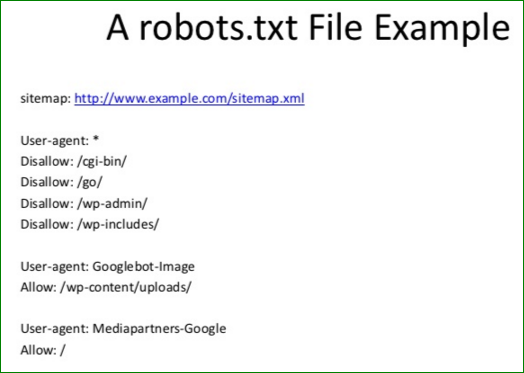 The sitemap crawler instructions are given to the crawler bot via a “Robots Text” file, an example of a properly formatted robots.txt file can found below. HTML sitemaps on the other hand are the common visual sitemaps designed for the user to help find content on the page, and typically do not include each and every subpage. A link to the HTML sitemap is often found in the footer section of many websites however this is becoming more and more uncommon as website move to become more action driven and goal oriented. You cannot submit an HTML sitemap to Google for indexing via Google Webmaster Tools as it is not a supported sitemap format for the Google Crawler and must be in XML format. Below is an example of a portion of the properly validated XML sitemap for https://www.crawlmonster.com, or you can see the full version by clicking here https://www.crawlmonster.com/sitemap.xml. Sitemaps can improve the search engine optimization of a site by ensuring that all pages within a website can be found efficiently by both humans and crawlers. Every successful website should make use of both types of sitemaps and ensure they are properly formatted and implemented to increase visibility and drive more user traffic to your website. 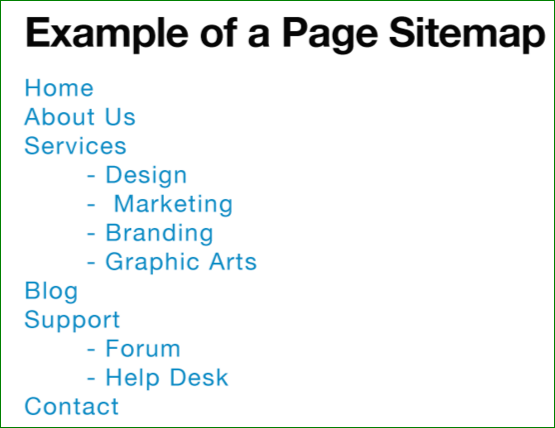 Need to create a sitemap? Enjoy our free sitemap generator tool. Nice replies in return of this matter with firm arguments and describing the whole thing about that.